I've now had this for a number of months, I actually bought it way back in December when it first got released and have been using it on and off since then, until the past few weeks when I have been reaching for it nearly every day. I think at first I wasn't sure how to get along with it and the packaging seemed a little gimmicky but I got past all that and the actual powder works very well and I've come to love it. This powder claims to be mattifying, pore perfecting, invisible finish and lightweight - it has lived up to each claim (but some more than others). A little background - I have pretty oily skin, it gets especially oily during the day around my nose and cheeks predominately so I need to set down any foundation to help prolong the wear and keep me looking matte, this powder had promised these things and it delivered. 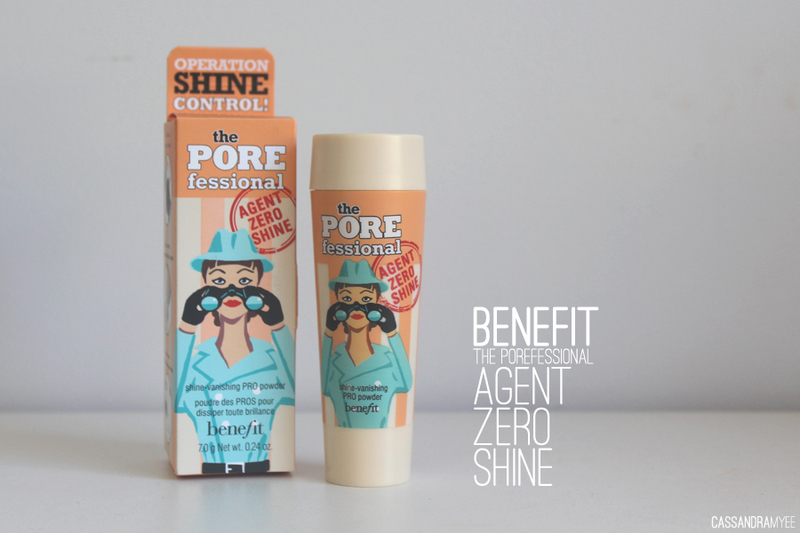 Generally, I use the Benefit Porefessional Primer beforehand (my go-to!) and they are aimed to work in conjunction with each other, but you obviously don't have to - you will still get the same results without the primer. The packaging for this powder is very unique; I am so used to big pans that I can really swirl a big brush into then douse my face in powder, but this is a little different. It is very slim, with a brush that unscrews from the bottom and the top lid acts as a dispenser for the powder that comes out of a sifter. 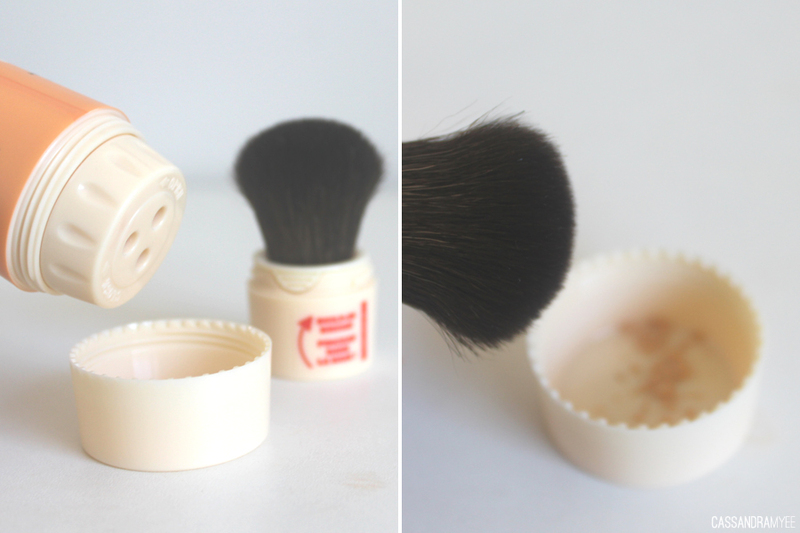 The brush is very small and also very soft and fluffy, so it allows targeted powdering, but not so great if you want to dust your whole face in a hurry. The sifter lid dispenses quite large clumps of the powder but I find swirling the little brush in the lid then disperses it evenly on the brush. The powder itself is definitely lightweight and as promised, invisible on the skin. I target it on my nose across the cheeks and up onto the forehead and this powder keeps me shine free for a number of hours. I think it was almost 5 or so hours at work until I noticed a little oiliness around the creases of my nose, which is really impressive for me. The beauty of this product and I think one of the standout things about it, is you can use it to touch up on the go. 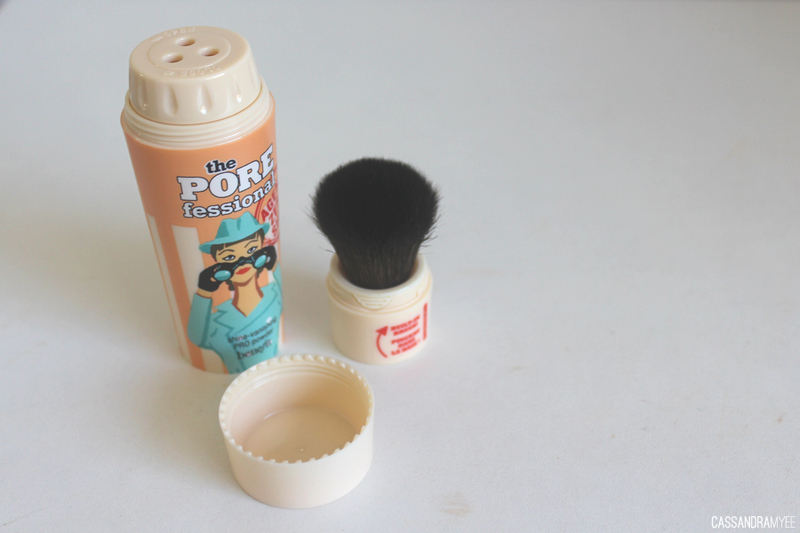 It is the ultimate handbag essential - it is super compact and having the brush included makes it even more so. 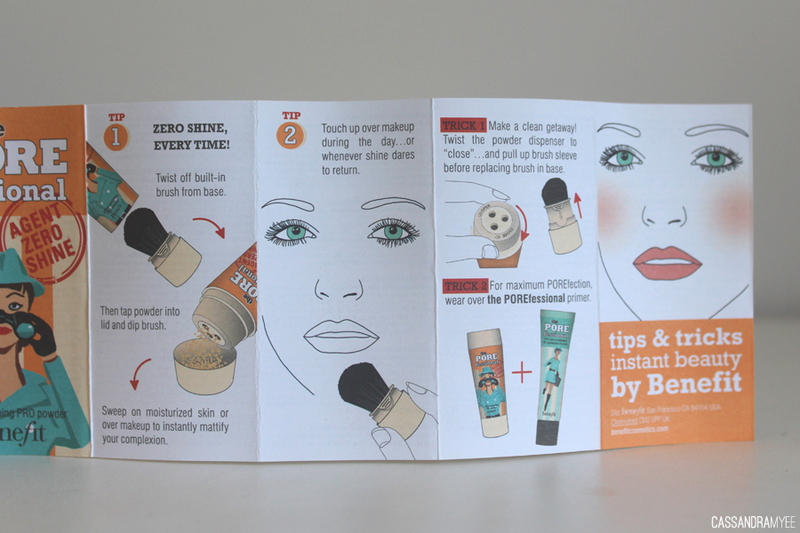 As for pore-perfecting goes, using it with the Porefessional is recommended (a primer that fills in and blurs the pores) but I do notice that this just seems to glide over them, and does in way make them seem a little more reduced, to some extent it does even out the skin surface a bit. At first, this product did seem a bit gimmicky and a bit fiddly to use, but now that I have been using it a lot more I have realised how great the powder is and how perfect this is for on-the-go touch-ups, making it the perfect handbag, travel bag item to carry with you. You can buy this from the Benefit website for USD $30 - they have free international shipping on orders over USD $125, or it is a flat $13.95 to NZ or from a counter at the Auckland Airport and Smith & Caughey's. 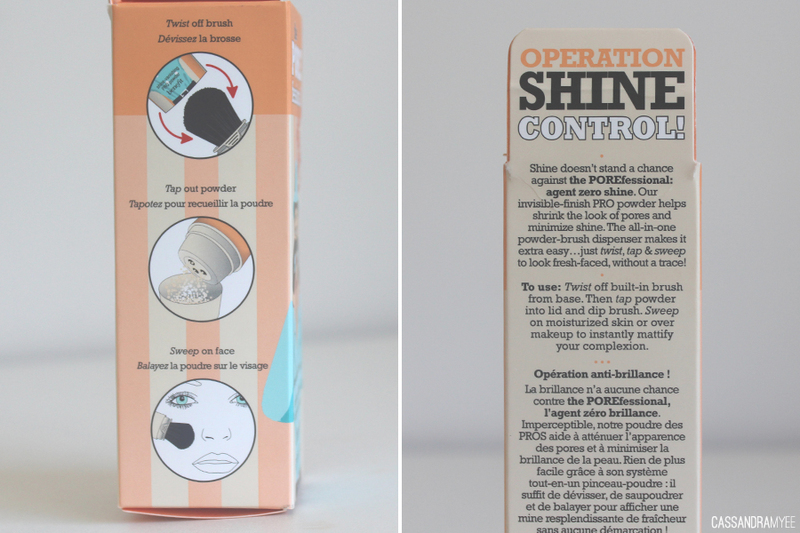 Have you given this powder a go? Let me know your thoughts on it in the comments.